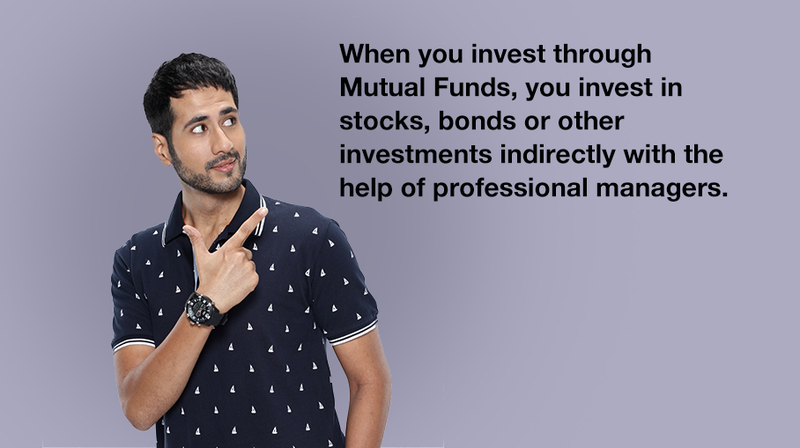 When you invest through Mutual Funds, you invest in stocks, bonds or other investments indirectly with the help of professional managers. Instead of doing the tasks yourself, you pay a small fee and avail the services of a fund management company. These services include not just research, selection and buying-selling of various investments, for which a fund manager is well qualified, but also the accounting and administrative activities related to the task of investing, which many may not like to do themselves.